It seems like 2017 is off to a great start. 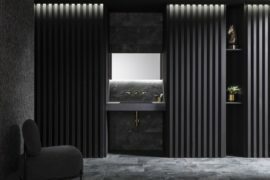 Last month we said good bye to the Design Week and Salone del Mobile in Milan — events that every year set the bar high for all things design. 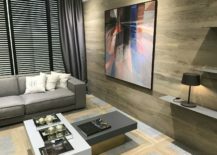 But today we’ll talk about other things, we’ll talk about trends in flooring and coverings for this year. 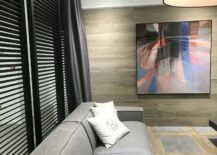 When creating the house (or room) of your dreams it’s not only about furniture. 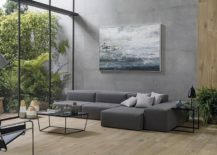 It can be about function, about choosing wall colors, lights or plants. 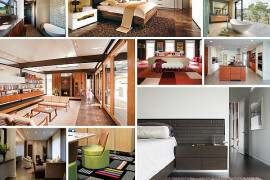 It can be about a very special carpet or in our case today, it can be about flooring and coverings. So what should we expect from 2017 and what are the trends that will grow on us for the years to come? Let’s delve in. 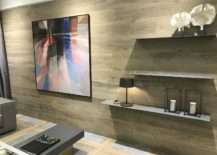 During this year’s Design Exhibition in Valencia, announced a new tile design that brings together two of the finest materials provided by nature; wood and stone. 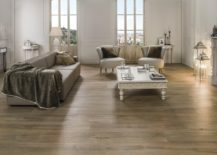 Dubbed the Bolonia collection, it’s a daring combination between the beauty of oak and the elegance of Belgian blue stone. 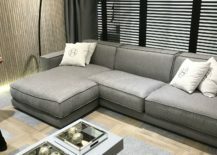 Two different models are available. 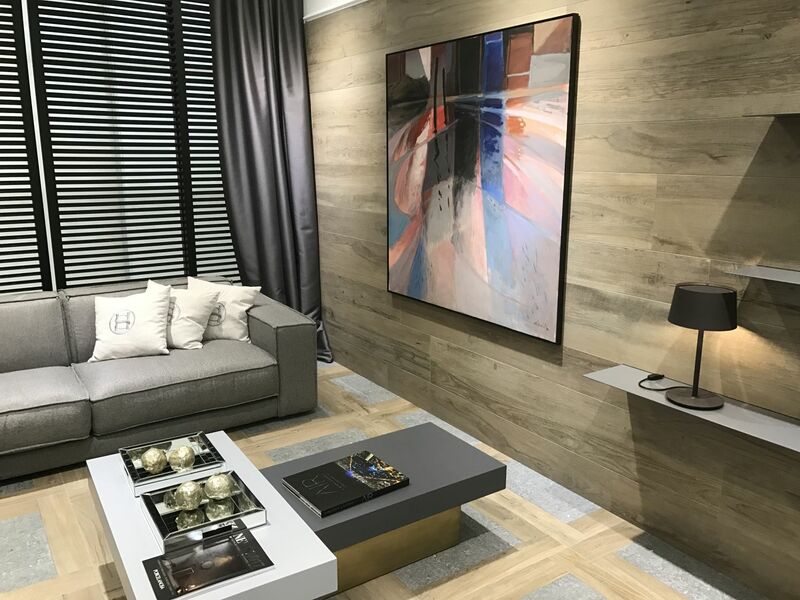 Bolonia Colonial has darker wood and grey finished stone, while on the other hand the Bolonia Cognac gets they eye with the beauty of its ash-coloured wood and the metal shades of the stone. There’s no denial we’re living in a modern world with technology shaping our lives. A world that is calling for innovation and modernism, pulling us towards new visions and meanings to the word tradition. But if there’s a story to be told and a tribute to be paid, we’ll always show our love for and appreciation for people who do things with their own hands. 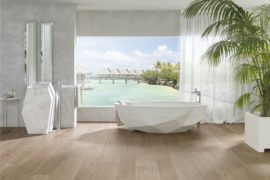 Meet Starwood, the new ceramic parquet from Porcelanosa. 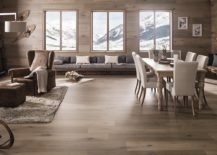 Available in so many variations that it would take us hours to explain them all (and learn where they draw inspiration from), wood tiles are becoming a strong trend for the coming years. 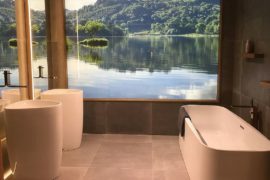 We’re not only talking about fancy shower areas and bathroom use. 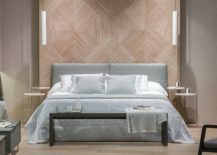 Wood tiles can make for a highly elegant bedroom headboard, and fit into both traditional and modern environments. 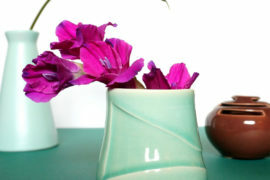 They incorporate the fantastic feel of wood and bring a sense of calmness to your space. 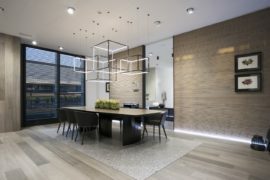 Imagine the classic Terrazzo look and charm coupled with the amazing array of advantages that acrylic stone has to offer – the new KRION Terrazzo Series has it all. 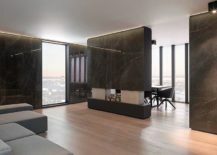 Much like the design composition of the original Terrazzo tiles, there is no shortage of depth, contrast and pattern here even as the modern reinvention adapts to the changing ergonomic needs of an increasingly demanding urban landscape. 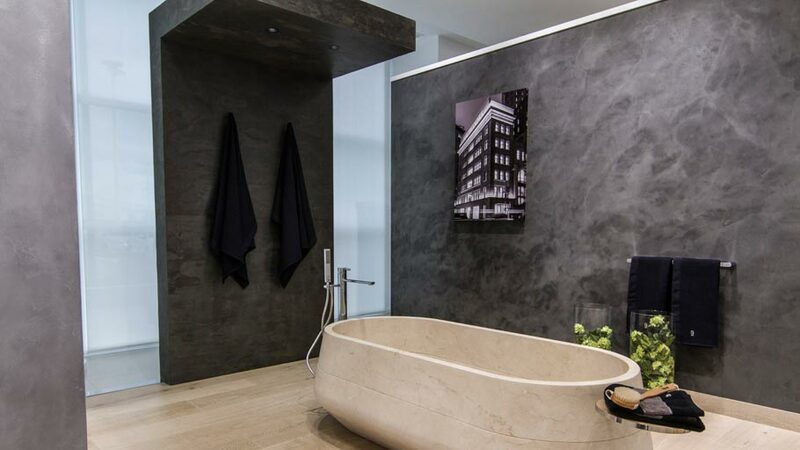 The non-porous and highly durable nature of these sensational surfaces allows designers and homeowners to install them even in bathrooms, shower spaces and outdoor areas where there is direct with humidity. 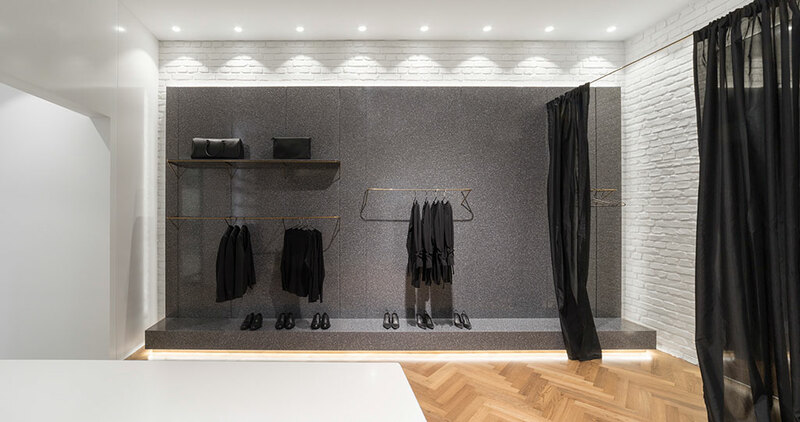 There is absolutely no shortage of decorative choices here as form and functionality go hand-in-hand with the K® Terrazzo Series. 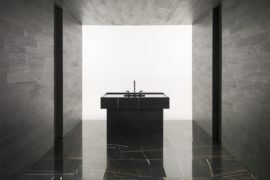 From Bianco Classico that replicates the visual effect of marble at its exceptional best to Concrete and Pietra that emulates the aesthetics of natural stone; each of these flexible tiles offers something unique and exclusive! Recreating nature’s splendor is almost impossible. 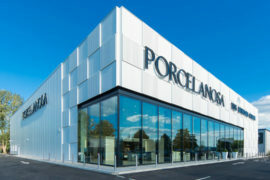 But mimicking it to create porcelain tile that is as close to natural stone as possible both in its appeal and feel is definitely possible. Do not believe us? 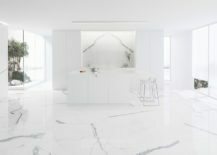 Check out the XLight Premium collection by that recreates the refinement of marble using thick and thin porcelain tiles! 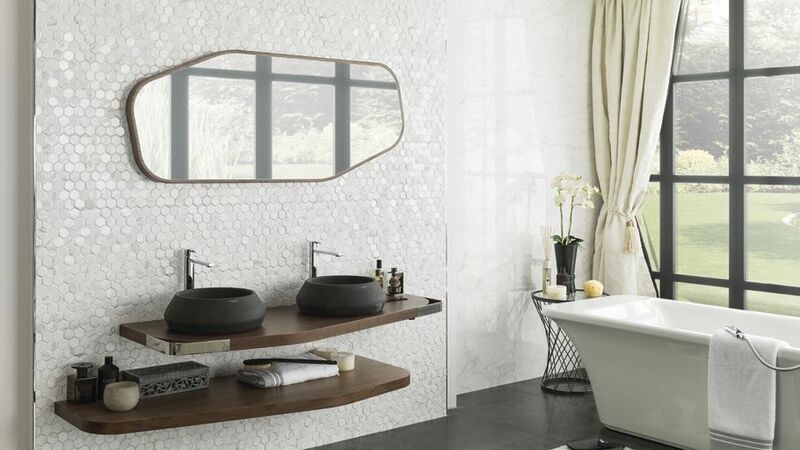 Randomized installation coupled with the inimitable four-graph pattern gives these gorgeous tiles an aesthetic that replicates natural stone to the tee. The latest collection includes Kala White, Lush White, Moon White, Savage Dark, Aged Clay and Aged Dark. 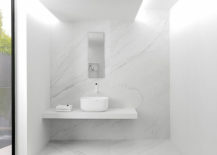 Be it the beauty of unspoiled white marble at its pristine best or dark gray marble in all its dashing glory, this premium series is for those who love to surround themselves with luxury and polished panache. 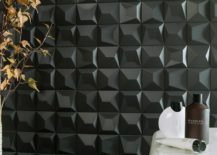 If you haven’t already, we think now is the time you should get on the “geo” bandwagon of home design and decorating. 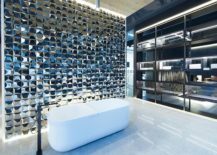 And if you are looking for ways to do it in style, then the Gravity mosaic coverings by are undoubtedly one of the best options when it comes to wall coverings. Moving away from the simpler geo shapes, these cool wall coverings bring the arrowhead design and can be arranged to create elegant backdrops that bring home chevron and herringbone patterns! 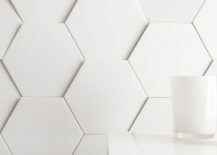 Still want those hexagon wall tiles for the bathroom shower wall? 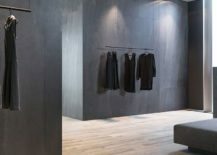 The Forest ceramic wall tiles by Porcelanosa offer precisely that and do so in a wide range of finishes that vary from those that usher in the warmth of natural wood to ones inspired by slate. 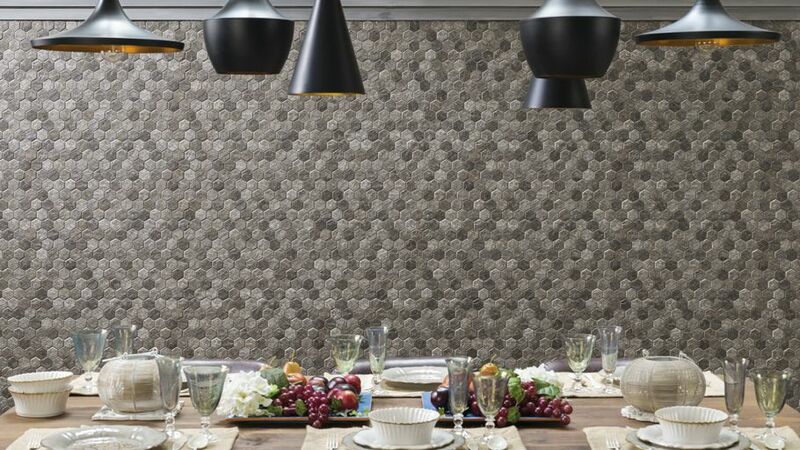 Last but not least, taking this geo mania to a whole new level are the Faces H and Faces S 3D-wall coverings crafted by architect Ramón Esteve & L’Antic Colonial. Time to bring those walls alive, don’t you think? 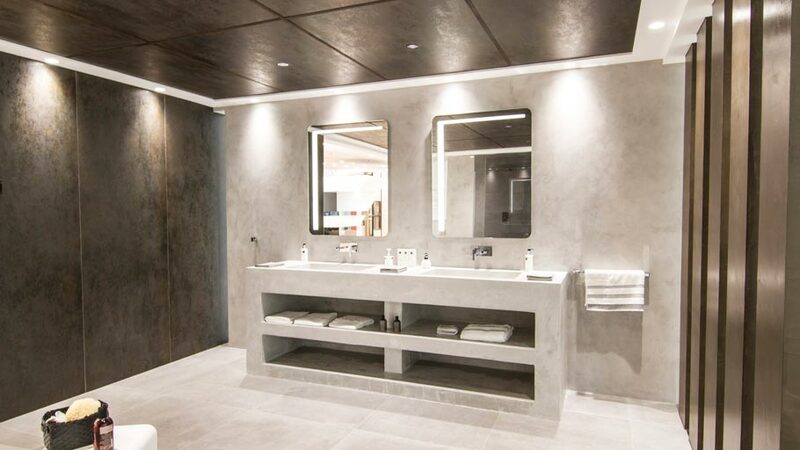 It is time to think big and think versatile with Micro-Stuk by Crafted using fine cement mortars and high-resistance polymers, these cutting-edge tiles can be used on surfaces ranging from building facades and living room walls to stylish backdrops that shape the kitchen, bathroom and any other area of your home. 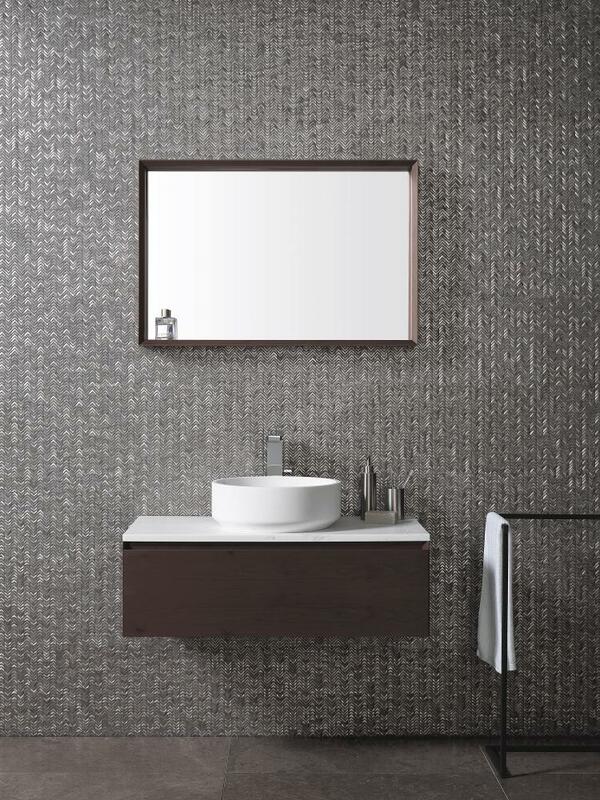 Micro-Stuk was specifically crafted as a continuous wall tile that is very flexible and can be as thin as just 2mm in thickness. 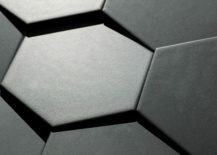 Its design as a continuous tile makes Micro-Stuk perfect for places where joints are both a practical and aesthetic hurdle and it can be easily customized to fit in with a wide range of color schemes and styles. So what are you having for 2017? Let us know in the comments below.